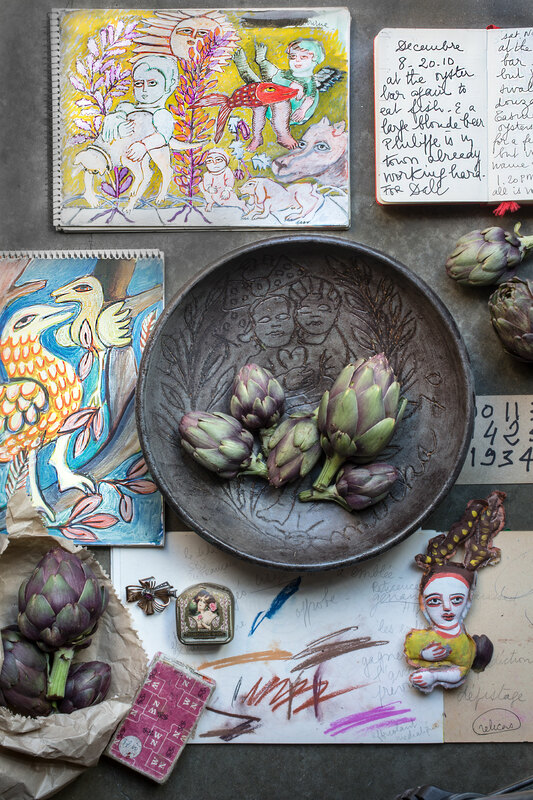 Arriving in 1951 from Paris, Mirka and Georges Mora transformed the Melbourne food and art scene. Their cafés and restaurants offered sophisticated food and their Tolarno art gallery inspired and energised the rich and famous. Launched in the year of Mirka’s 90th birthday and her passing, Mirka & Georges: A Culinary Affair, a new book release from MUP, gloriously illustrates the Mora’s extraordinary story. 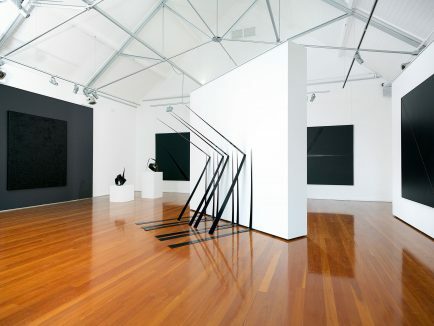 Recalling his first exhibition held at Tolarno in 1970 and the energy of the time, artist Ivan Durrant also celebrates the memory of Mirka and Georges. 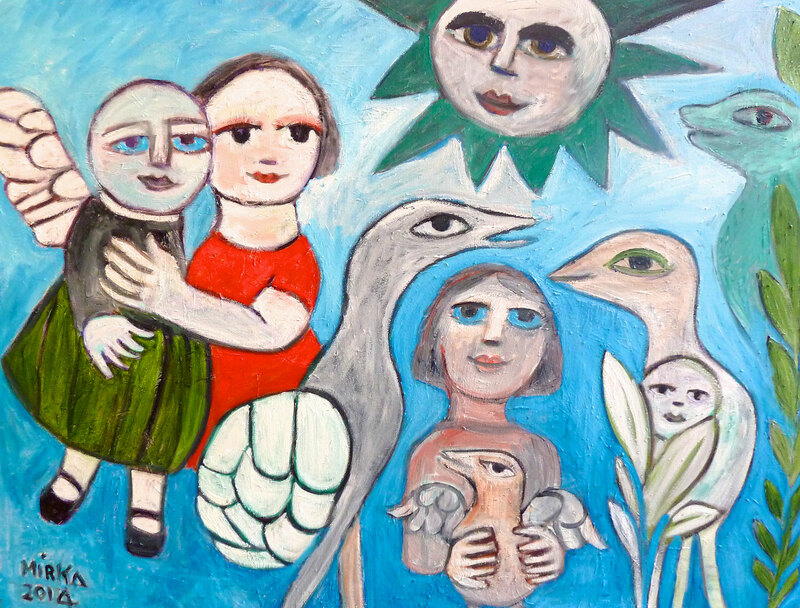 My mesmerising magnificent mentor, Mirka Mora, has left the easel. It frightens the hell out of me to think about how different life may have turned out if I’d never met Mirka Mora. 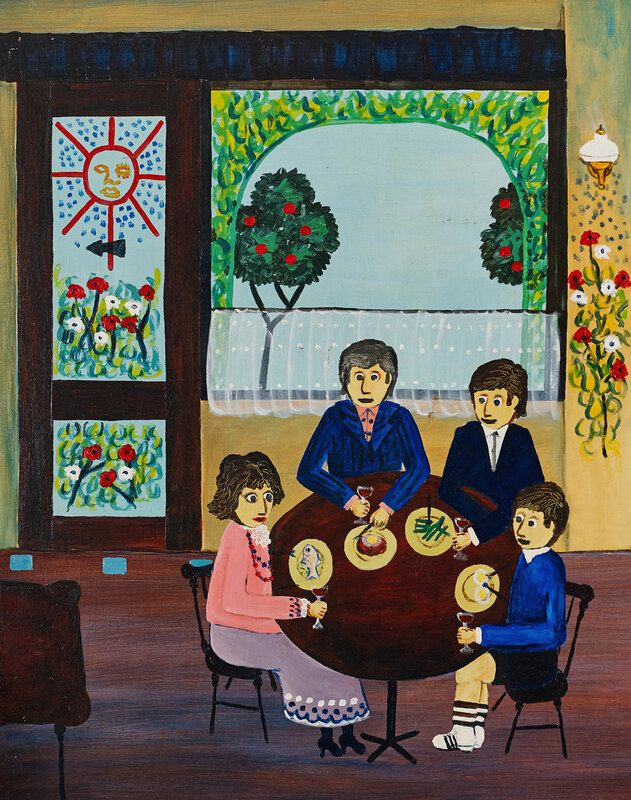 Around June 1969, after completing an economics degree, and heading towards a Masters, I’d lost interest and found myself obsessively painting six to eight hours a day. My sister Elaine, a waitress, suggested I go to see her boss Georges Mora at Tolarno French Bistro and Art Gallery. I did, the very next night. Full of nerves, I opened the restaurant door and asked for Georges Mora. The drink waiter pointed to him: ‘There he is’. He was sitting with his wife Mirka and two young sons, William and Tirial, at a small round table directly through the entrance doors. ‘Hi, I’m Ivan Durrant; can I show you my paintings?’ He looked bewildered and a little miffed – after all, I had interrupted his meal; but graciously he directed me to take one painting into the gallery saying he’d be out in ten minutes. I took a punt and lined twenty around the walls, completely ignoring the Arthur Boyd show hanging. He came in with Mirka: the most stunning, wildest, gypsy-looking woman I’d ever seen. She greeted me with a smile: ‘Hi, I’m Mirka’, and without a break in the sentence, turned to Georges: ‘ I love them; we must give him a show’. After a bit of chatter, Georges asked me to leave one behind, and took my address. I drove off, wondering if I had struck good luck, or if he was just going to keep the painting. 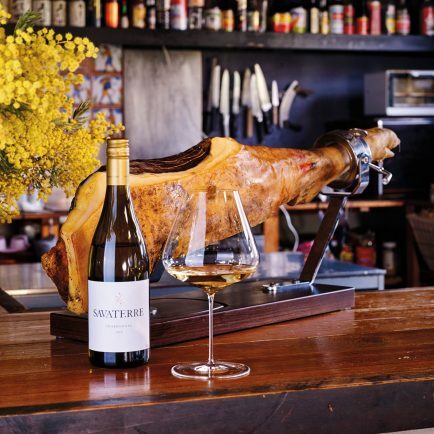 The next day, he showed up to the single-bedroom sleep-out I was renting in the back yard of a small weatherboard house at Murrumbeena, wanting to see my studio. Unfortunately, there was no studio. I only had one small room with a wardrobe, a bed, and a one-square-metre table at the end of it, which contained my kitchen (an electric frypan), and about twenty small tubes of paint and a handful of brushes. I had no easel, but found it no problem to paint sitting on the end of the bed leaning the masonite against the table. After shuffling through and inspecting the fifty or sixty small works leaning against the wardrobe, Georges dipped into his pocket and pulled out a wad of notes: ‘I sold your painting last night for $200, so here’s your money less commission, plus $300 more to buy paints: keep working and you can have the first show next year. You must come to the restaurant for dinner any time you wish: it’s on the house.’ Then he left. I couldn’t believe it; I’d never had more than $40 in my hand at any one time, and suddenly I had around $470. Boy, I know what it feels like to be a millionaire. Full of enthusiasm, I finished six paintings that night, then took them down to show Georges and Mirka the very next night. True to his word, they invited me to sit with them at their family table. I couldn’t take my eyes off Mirka, so exotic with her French accent spurting ideas I’d never thought of before. Dressed like the queen of a harem, she held the floor, greeting every patron as they walked in. It was the first time I’d ever been offered a menu, and luckily, saw something I recognised; steak. Georges ordered the steak tartare; I couldn’t believe it when it showed up: a lump of raw mince with a cracked egg on top. He mashed it up, and without waiting for the electric frypan, hoed into it. Mirka had a whole fish, with the head still on and the eye looking at her: no batter, no chips. William scoffed into a plate of little green sticks – I’d never tasted asparagus, or seen it before – and Tirial, about nine years old, sitting there in his Adidas runners, seemed quite normal: he had two fried eggs. We all had a glass of red; I hardly drank beer back then, and never wine, but it’s remarkable how I soon adjusted. After dinner, Mirka took me down to their living quarters at the back and gave me an easel, saying it once belonged to Charles Blackman. Thrilled beyond belief, and looking forward to more meals, I went home that night and painted a picture of the family sitting at their round table, which I took down the next night to show them, with about five more. This time I was invited to a long table with about twelve guests, all but the Moras new to me. 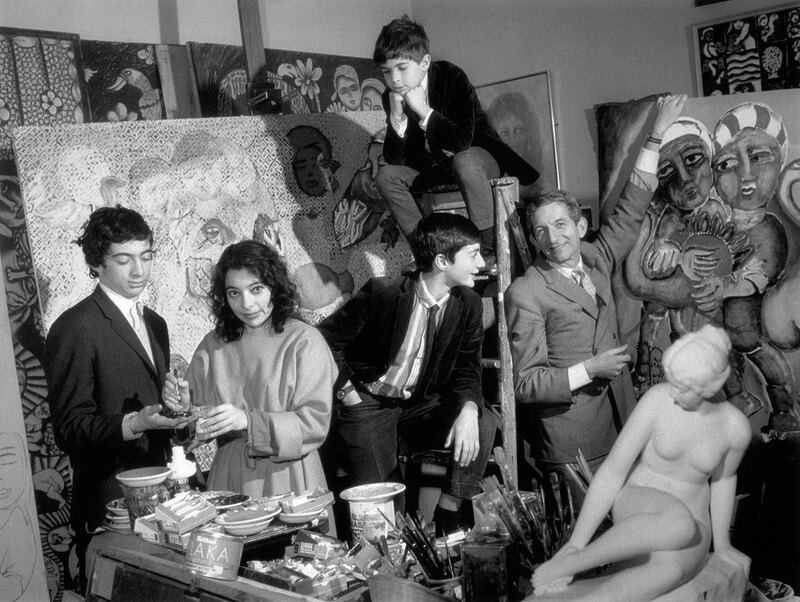 Amongst them, John and Sunday Reed, Asher Bilu, Charles and Barbara Blackman, and the visiting Marcel Marceau. It was a little hot that night in the restaurant, and without a care Mirka stood up, took her dress off and sat there in her pants and bra. Nobody batted an eyelid, except for me of course. As I later witnessed, it wasn’t unusual on some hot nights for her to wear no bra, pull out a pair of scissors and cut holes in the top of her dress to reveal and cool her breasts: she never stopped performing; but more importantly, was never afraid to be out the ordinary, never sticking to conventional expectations – she was determined to be herself, and what a self that was. In a way, Mirka appeared naive and child-like, but it was a mistake to take her for granted and underestimate her. 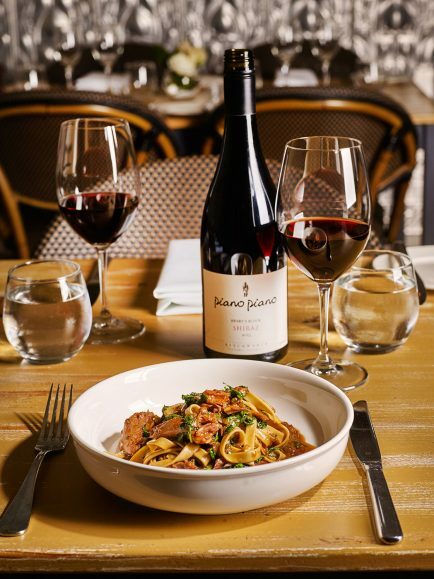 A regular diner in his mid sixties would come to the restaurant every Friday night with a new partner on his arm, and without exception she would be well groomed, extremely good-looking, often blond and never over the age of about twenty-five. At the end of the evening he made a point of introducing his new trophy to the Mora family, finishing up by saying to Georges: ‘I hope it’s alright if I kiss your wife goodnight’; and would then give Mirka a peck on the side of her cheek. I could see Mirka was unhappy about the situation, no doubt being treated as a chattel by this ageing Romeo, and one night she just couldn’t hold back. As he said: ‘Can I kiss your wife goodnight’, she immediately jumped up on the table, pushed her crutch into his face, saying: ‘Where do you want to kiss me?’ Totally embarrassed, he quickly left the restaurant and never, ever, came back. December that year, Georges went on his usual two-month trip to Paris and New York, leaving Mirka to run the show. I often kept her company at the restaurant where I mastered the art of red wine. Even though my exhibition was still four months away, I had the twenty-two paintings framed and delivered to Tolarno to show Georges before he left. What a saleswoman Mirka was, buttering people up with her extraordinary charm. She’d take them into the back room for a ‘special private viewing’ of the next year’s upcoming exhibition: mine, and by the time Georges had come back she’d pre-sold the lot. So with confidence in my future, I got married in December and had a sell-out exhibition in 1970. Thanks to Mirka, I was on my way.During the next couple of years, Georges and Mirka really opened up my life. 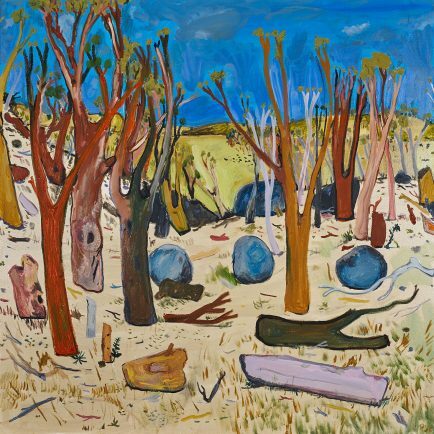 We visited the Reeds at Heide, went to many a poetry recital at the Reed’s and Mora’s houses at Aspendale, visited countless exhibitions and the studios of many famed artists, such as Charles Blackman, Fred Williams, Clifton Pugh, John Perceval and Albert Tucker. But it was Mirka who drew out the daring in me – that ability to take a risk. When Christie’s auction house first came to Melbourne in the early seventies, beautiful young Kate Baillieu held a party at their family home in Toorak for Major Spowers, Christie’s head auctioneer. 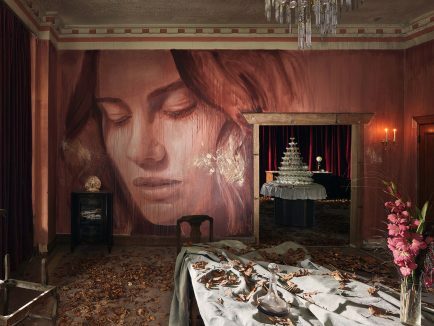 Mirka called me into their bathroom – she was working on a mural above the bath with various coloured lipsticks on hand. Virtually naked, she was wearing only a see-through fishnet dress after discarding its slip and her underclothes. Unembarrassed and totally carefree, she asked me to help her, and insisted I take off my clothes off as well. As we were alone at that stage, I did as ordered, and started work. The house was beautifully heated, except for the bathroom, which seemed particularly cold. Suddenly, all my shyness came back as I looked in the mirror, and noticed I was the un-proud owner of what looked like a scared tortoise that had shrunk back into its shell. Fortunately, I’d got dressed again before the party had made its way into the bathroom. Mirka was in her element: wherever she went, people had a story to tell. 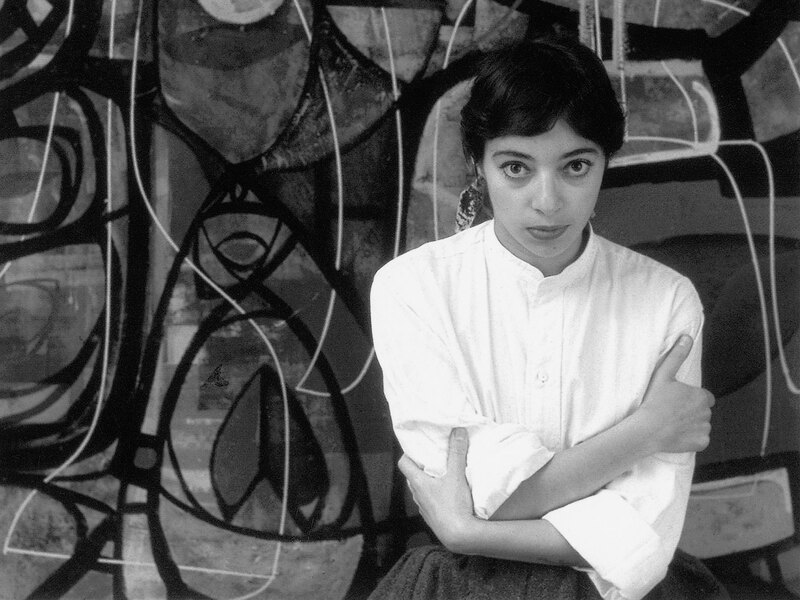 Mirka was a dedicated artist working everyday, and quite often drawing in a small pad at the dinner table. On the odd occasion, she’d hand the pad over to me and I’d draw a horse or a cow and we’d exchange drawings at the end of the night. As a mentor, I took away two things from her: firstly, to be completely dedicated to the job of art. She told me Maurice Chevalier had once said to her: ‘If you’re an artist, then nothing should get in the way of your work: starvation, or even family.’ The only thing I disagreed with, was that to me my family came first, but I’ve never stopped working. The second and probably most important lesson, through observing her, was to be completely free and honest with your ideas and actions and to never let stifling conventions hold you back. Mirka, I owe you so much; I’ll always be ever grateful for the early start you gave me – Ivan Durrant. 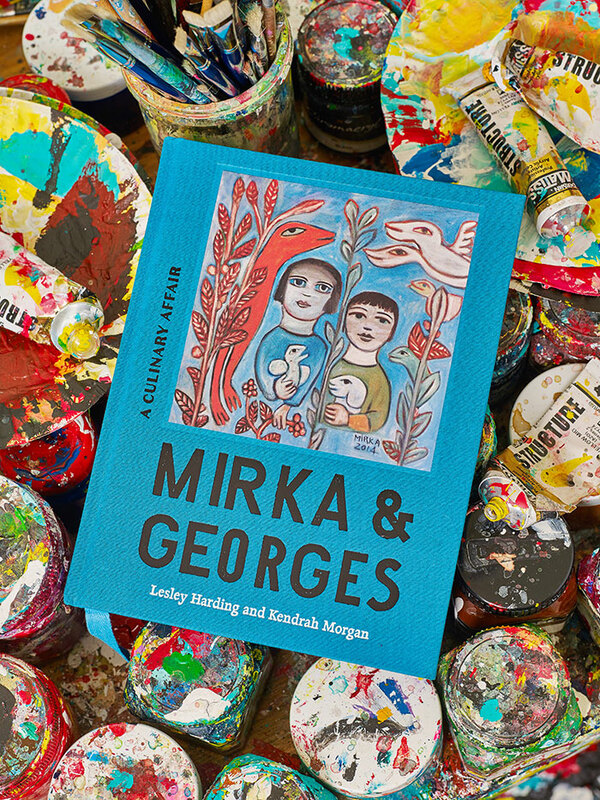 Mirka & Georges written by Lesley Harding and Kendrah Morgan, senior curators at Heide Museum of Modern Art, is available in all good book stores now. The book coincides with an exhibition titled Mirka Mora: Pas de Deux – Drawings and Dolls at Heide Museum of Modern Art. The exhibition runs until 24 March 2019.